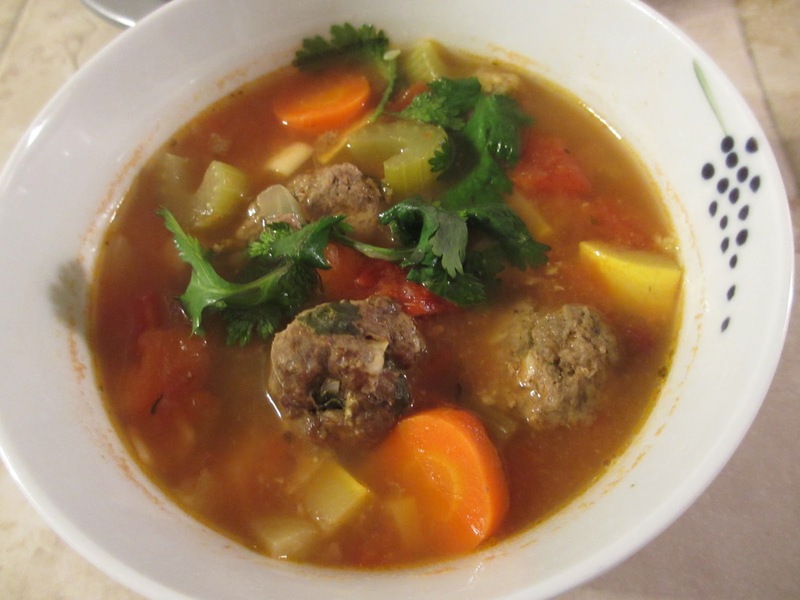 Albondigas soup-[“the crazy meatball soup”]-Ever heard of it? Well I go to Souplantation [“The Soup”] with my friends a lot and one time we happened upon the Mexican theme when The Soup was doing the Around the World themed months. So I set down my tray and I go get soup because I’m usually uber cold everywhere. I see this soup, and thought well what the hell I’ll give it a try. So I scoop some up and go through dinner. I drink some of the soup and was pretty amazed by it! My bestie then went to go get some and there weren’t anymore!!! So I basically took the last ladle of her favorite soup. We decided at the dinner table that we would re-create it one day and so we did! This is my second time making it– I am sort of on this ‘make more soup’ phase and I craved it during the holidays! 1 lb lean ground beef [I used the 96% one bc I have been trying to buy less fattening ingredients, but it turned out a tad bit dry. I used the normal 85% one last time and the meatballs were soft and fatty and amazing]. 1. 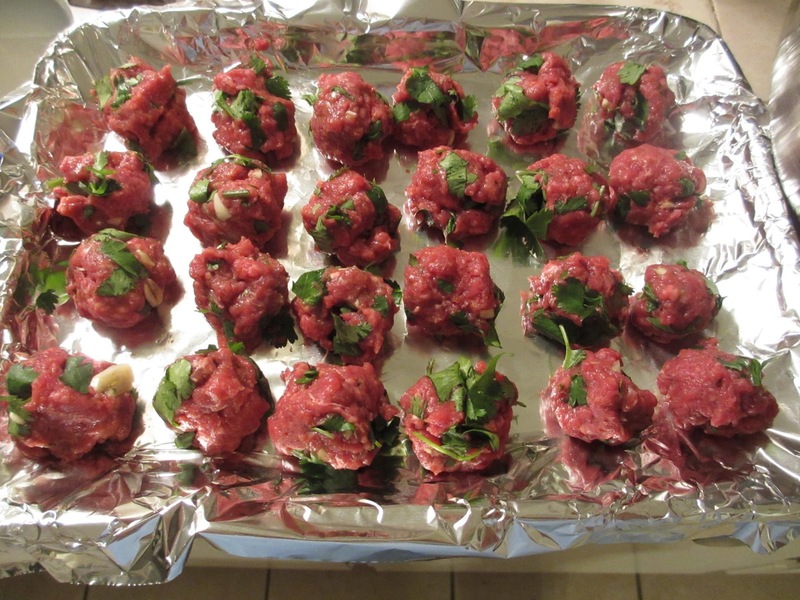 Make the meatballs. Mix everything together and form meatballs. You can make them big or small – it doesnt matter. 3. Chop up the veggies. Put veggies, spices, salt and pepper, into broth. Let boil. 4. 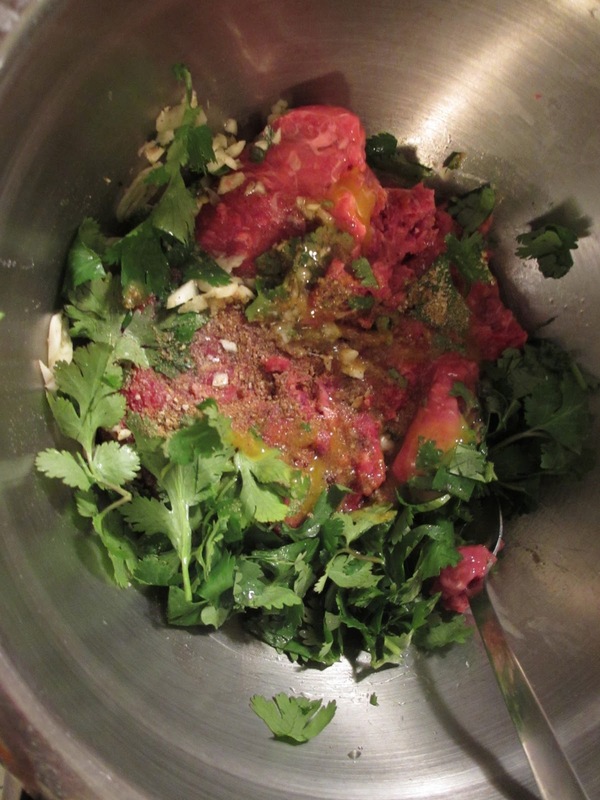 Once the veggies are like soft, throw the meatballs in. Let it lightly boil for 10 min for every flavor to blend. 5. Garnish with more cilantro! « Kale and Bacon Lasagna! Annie while this is deff a more healthier recipe, the traditional way (at least at my house) is rice in the albondigas and boil! (that way they turn out moist) annnnnd I also put the sliced pepperchinis on top with some of the vinegar its pickled in the jar. If u like spicy try adding red pepper! 🙂 LOVE your blog gonna try out the tarts!